Dr. Kim Wise joined the JCVI Synthetic Biology and Bioenergy team in 2012 as a Senior Scientist, where he has pursued strategies to minimize and reconstruct synthetic bacterial genomes based on a naturally-occurring mycoplasmal prototype lacking a cell wall. He is particularly interested in understanding membrane dynamics, rudimentary requirements for division, and energy pathways in the context of minimal cellular life. 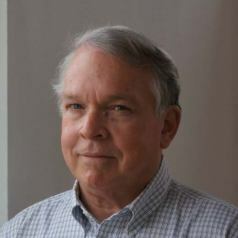 Kim is concurrently Emeritus Professor at the University of Missouri, Department of Molecular Microbiology and Immunology, where he has spent several years (since 1980) studying mycoplasma biology, comparative genomics and the consequences of localized genomic instabilities and mobile elements that promote cell surface variation within populations. Prior to entering this field, he acquired training in virology and membrane protein biochemistry during postdoctoral studies at the University of Zürich and the University of Alabama at Birmingham (USA). He holds a Ph.D. degree in Biochemistry from the University of Southern California and a B.S. degree in Molecular Biophysics from Yale University. A versatile palindromic amphipathic repeat coding sequence horizontally distributed among diverse bacterial and eucaryotic microbes. Distinctive repertoire of contingency genes conferring mutation- based phase variation and combinatorial expression of surface lipoproteins in Mycoplasma capricolum subsp. capricolum of the Mycoplasma mycoides phylogenetic cluster. Journal of bacteriology. 2006-07-01; 188.13: 4926-41. The Mycoplasma fermentans prophage phiMFV1: genome organization, mobility and variable expression of an encoded surface protein. Molecular microbiology. 2004-06-01; 52.6: 1703-20. Molecular genetic analysis of ICEF, an integrative conjugal element that is present as a repetitive sequence in the chromosome of Mycoplasma fermentans PG18. Journal of bacteriology. 2002-12-01; 184.23: 6929-41. Localized reversible frameshift mutation in an adhesin gene confers a phase-variable adherence phenotype in mycoplasma. Molecular microbiology. 1997-09-01; 25.5: 859-69. Elongated versions of Vlp surface lipoproteins protect Mycoplasma hyorhinis escape variants from growth-inhibiting host antibodies. Infection and immunity. 1997-05-01; 65.5: 1773-85. Molecular basis of Mycoplasma surface antigenic variation: a novel set of divergent genes undergo spontaneous mutation of periodic coding regions and 5' regulatory sequences. The EMBO journal. 1991-12-01; 10.13: 4069-79. Phenotypic switching in mycoplasmas: phase variation of diverse surface lipoproteins. Science (New York, N.Y.). 1990-01-19; 247.4940: 315-8.